Controlling password protection, gallery expiration, and watermark settings in an online gallery. 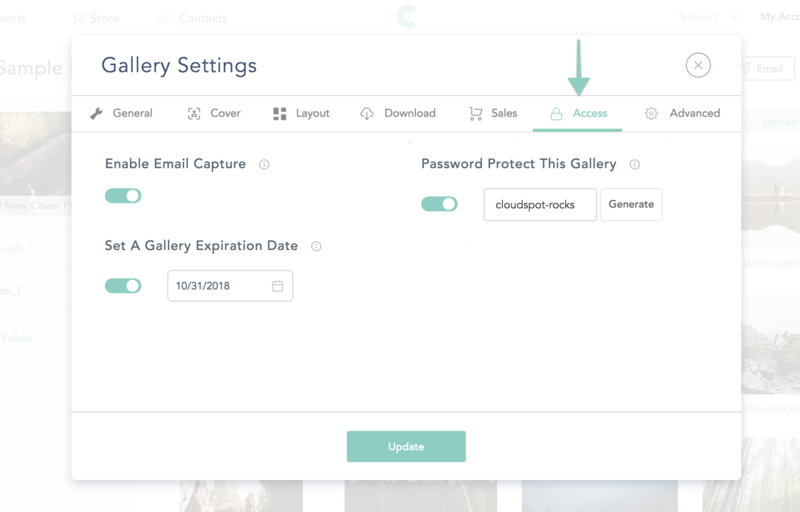 By visiting your gallery settings, you can set passwords, gallery expiration dates, as well as have your gallery images display with a watermark! To visit your Gallery settings, click on your Collection then click on “Galleries”. Any of these settings can be modified at any time. Additionally, you can enable/disable social media sharing from your "Advanced" tab by enabling the "Social Media Sharing" toggle. 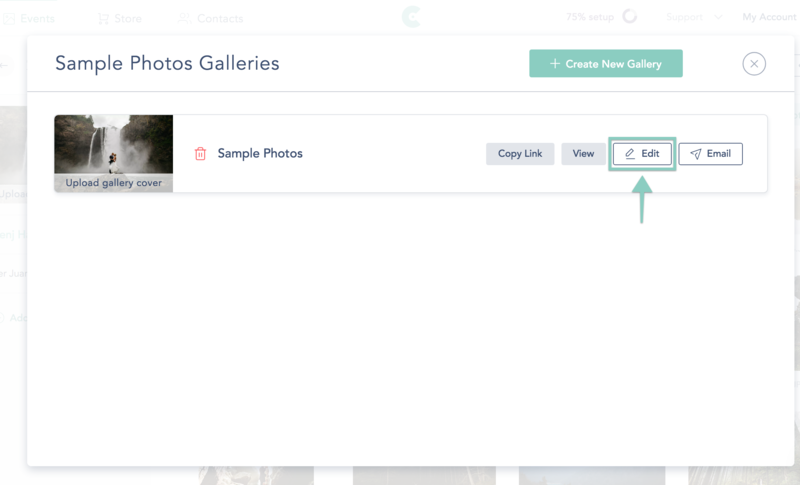 This will control whether or not your clients can share an image or the gallery on Facebook, Pinterest, or via Email.